What Kind Of Engagement Ring Does She Want? Precious Metals: Which To Choose? Diamonds are amazingly beautiful things, but they don’t come out of the ground that way. 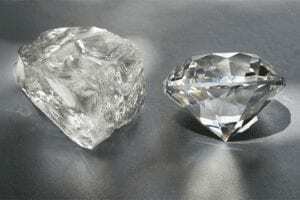 A raw diamond can look like melted plastic. A chunk of ice at the back of your freezer. The teeth of a 3-pack a day Chesterfield smoker. A raw diamond has to be cut and polished into the form that will dazzle your potential bride. The 4Cs were established by the Gemological Institute of America in 1953 as the international standard by which diamonds are evaluated and priced. They’re mainly for the people who buy and sell diamonds, but you can use the system to your advantage, upgrading some Cs and downgrading others until you find a combination that works for your budget. Our theory is that most guys don’t care about the 4C’s, so we’re not going to make you sit through long technical explanations of each. Instead, we’re going to quickly review them, and explain how they can save you money. We have detailed articles about each C in other parts of the site: this is the quick and dirty version. Cut is what makes a diamond sparkle. It takes an expert craftsperson to transform a rough stone into a faceted jewel, so the better the cut, the more it will cost you. 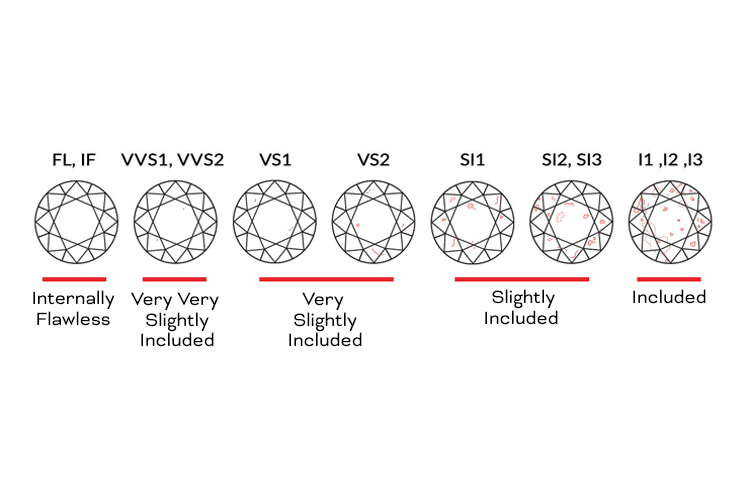 How does the cut determine the brilliance of the diamond’s sparkle? Well, there’s a lot of angles and math and geometry involved—but basically it has to do with how light comes into the diamond and how brightly it’s reflected back out. 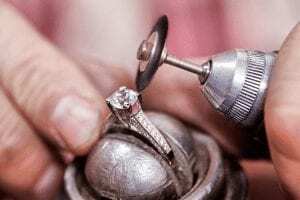 We’re not talking about color diamonds here (that’s a whole different article): we’re talking about “white” diamonds, which are different degrees of clear. The highest grade are colorless, and have a cold, icy brilliance. The rating goes down as the amount of color increases. These diamonds have a warmer sparkle, which some people prefer. But even the lowest rated white diamond has only a hint of color. 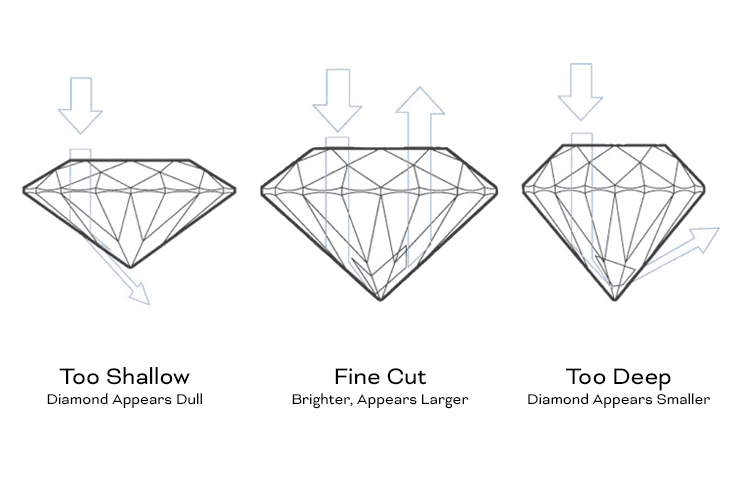 When a professional tells you a diamond is “flawless,” it’s not just an exaggerated way of saying “really nice.” They actually have something specific in mind. A flaw, also called an “inclusion,” is an imperfection that developed in the diamond as it formed. It might look like a little mark or scratch inside the diamond. 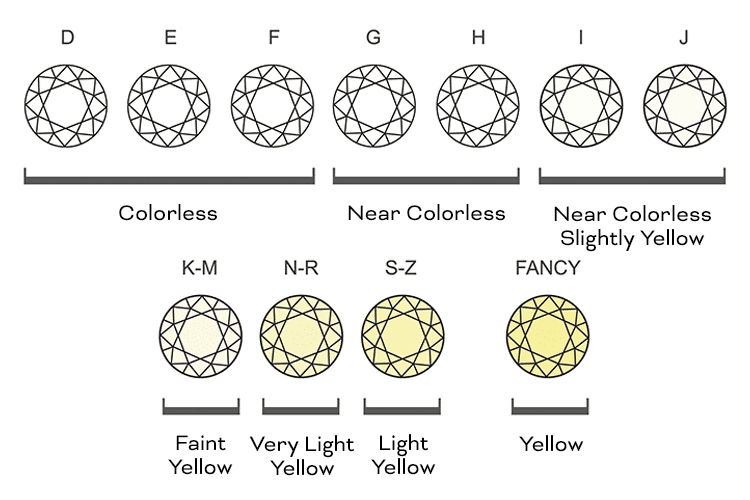 A diamond’s “clarity” rating is based on how many inclusions are visible under a magnifying glass. The bad news for a jeweler is that flaws lower the price of the diamond. The good news for you is that most flaws are invisible to the casual viewer. 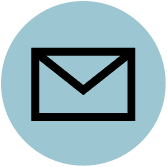 This gives you the opportunity to save some money without noticeably losing quality. Of course, too many flaws and even you will start to notice. As will she. A diamond’s weight is measured in carats. 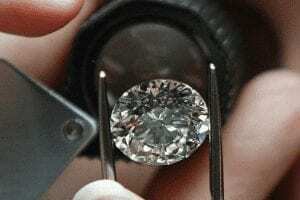 The higher the carat weight, the larger the stone. Smaller stones cost less, so this is the easiest “C” to mess around with when trying to lower the final price tag. 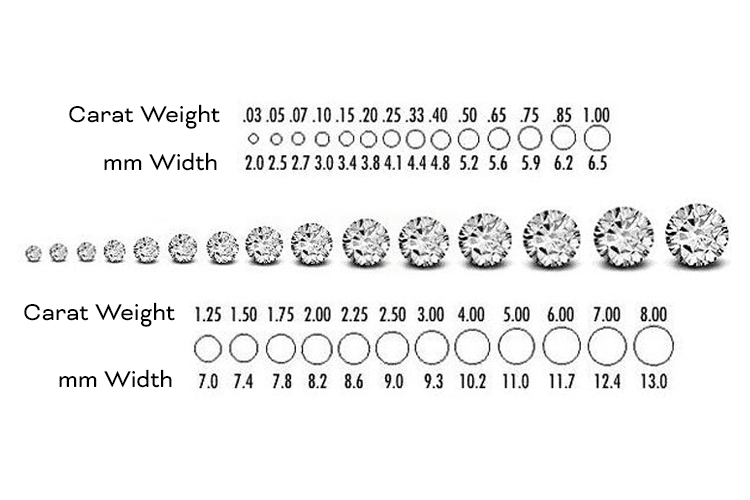 Always ask to see stones that are slightly lighter than your desired carat weight. Sometimes you can’t tell the difference between two carat weights with the naked eye, which can be a total win for your wallet. When looking at the 4C’s, pay most attention to the cut. You can compromise on the other C’s, but the wrong cut will give you the wrong diamond. Do not get the wrong diamond. Curious about this funny sounding stone? You’re not alone. 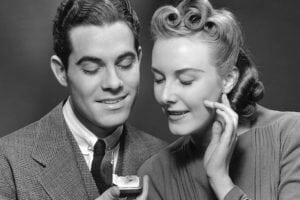 Artificial diamonds used to be called by an unkinder name: “fakes.” Nowadays, everybody wants one.